OK: let’s get into this. Infographic first, and a little commentary afterward. Surprise, right? I thought this one would get a lot more attention. We’ve all heard the story of Jonah before. But it turns out Jonah is the 10th least popular book of the Bible. God tells Jonah to go to Nineveh, Jonah takes a boat ride in the opposite direction, and ends up in the belly of a great fish. When the fish spits Jonah up, Jonah goes to Nineveh, but his heart still isn’t in the right place. OK, now we’re into the more obscure territory. Joel is the 9th least popular book of the Bible. The prophet Joel spends a good amount of his time talking about a recent plague of locusts. The bugs have wiped out all Judah’s crops. So Joel explains that the day of the Lord is upon Judah: God is judging His people. Oh, and He’s got a lot more in mind for the world, including judging the nations, restoring Jerusalem, and pouring out the Holy Spirit on people. The epistle of Jude is the 8th least popular book of the Bible. This punchy, one-chapter letter comes right before the book of Revelation in your Bible. Jude (whose brother wrote the book of James) wanted to write about salvation, but there’s something more pressing to deal with. Unbelievers have crept into the church, spreading false teaching about Jesus and the grace of God (Jud 3–4). Jude describes the threat, and then encourages the church to contend earnestly for the faith. Learn more about Jude here. This might just be the hardest book of the Bible to remember. As a kid, I remembered it as that other “Z book” (the one that isn’t Zechariah). No surprise that it’s the 7th least popular book of the Bible, right? The prophet Zephaniah starts his message with a bang: God says He will “remove everything from the face of the earth” (Zep 1:2). But there’s more to this book than the end of the world. God also promises to restore all things, too. Learn more about Zephaniah here. Philemon is the only Pauline epistle on this list. It’s a shame more people aren’t reading this letter: it shines a rather convicting light on relationship conflict between believers. Here’s the back story. A Christian leader named Philemon owns a non-Christian slave named Onesimus. Onesimus runs away (and presumably harms Philemon in the process). Onesimus somehow meets Paul, becomes a Christian, and helps Paul with his ministry. But when Paul learns Onesimus’ story, Paul sends him back to Philemon with a letter urging the former slave owner to accept Onesimus—not as a slave, but as a brother. The book of Philemon is that letter. 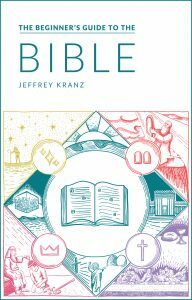 It’s a powerful story, which is why I was surprised to learn it is the 5th least popular book of the Bible. Learn more about Philemon here. After 70 years in captivity, the Jews were sent back home to rebuild the temple of God in Jerusalem. They laid a new foundation, but when the other nations raised a fuss, the Jews quit construction and focused on building their own houses. That was a dumb move—and God isn’t happy with them about it. So the prophet Haggai rallies the Jews to finish the temple. His story is the 4th least popular book of the Bible. Learn more about Haggai here. A rogue church leader is condemning Christians who show hospitality to the saints. John writes a quick note to Gaius, a man in that church, encouraging him to continue in what is good. Learn more about Third John here. John writes a quick note to a “chosen lady and her children,” encouraging them to walk in truth, love, and obedience. He also promises to make a visit soon. Learn more about Second John here. This book is intense: God pretty much tells Nineveh that it’s all over. They’ve harmed Israel enough, and now He’s going to punish the Assyrian city. It’s a pretty brutal book, which is probably why it’s the second least popular book of the Bible. Learn more about Nahum here. A one-chapter discourse against the little nation of Edom. The Edomites of Mt. Seir sided against Judah (probably when the Babylonians invaded), and they should have known better. God warns them that Edom’s judgment is coming. He also promises to restore Mt. Zion and institute a righteous kingdom. You might want to check out the full post on why Obadiah is the least popular book of the Bible. 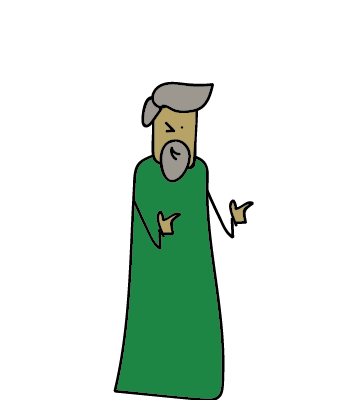 Learn more about Obadiah here. When I went through the 10 least popular books of the Bible, I kept an eye out for any common threads. I’m sure there are more than these, but here are a few that really stand out. Jonah is the longest of these books. And all five of the shortest books of the Bible made this list. That’s no coincidence. I touched on this in my write-up on Obadiah. The shorter a book is, the less there is for people to read, the less there is for people to reference, and the less there is for people to remember. Example: Jeremiah covers some really tough material (similar to Nahum and Obadiah), but it also has some really popular stuff, too (like how God knows the plans He has . . . you know the one). Of course, this data isn’t perfect. If we divided the number of hits by number of words in each book of the Bible, our results might end up a little differently. But then we’d probably still have some skews. Maybe someday I’ll partner with a few organizations to do a survey, then update the results! The context is difficult for some: these make a lot more sense if you’re at least mildly familiar with the divided kingdom, the captivity periods, and all that ancient Israel history stuff. Some of the passages dealing with God’s wrath are understandably difficult. God gets straight up mad in some of these books, and that doesn’t make for easy devotional reading. These books are tough to pronounce and spell. With the exceptions of Jonah and Haggai, these books are either prophetic oracles or letters. People tend to like stories, and that makes reading John’s pep talk to Gaius a little less drawing than, say, the story of Jesus’ birth in Matthew. So I guess it’s understandable that these books don’t get as much love. But if you’re still reading this, there’s a good chance you’re the kind of person who will check these out. Wouldn’t it be cool to get more Bible-study nerdiness like this in your inbox every week? I’d sure love to send it your way. Join my email newsletter, and I’ll shoot you a summary of one book of the Bible every week. Good reading, got my interest and I want to learn more to help to increase my spiritual growth. I sure missed your bible study. I think Ezekiel’s length kept it out of this list. The more material there is to read and reference, the more page views it can collect on BibleGateway.com. I think we need to make a difference between “least read” and “least popular.” On a Bible website, you’re going to read Leviticus more than 3 John because Leviticus has 859 verses and 3 John has 15. Doesn’t make Leviticus more popular. Did you normalize the results? All of these seem like shorter books of the bible. It would probably worth doing the ranking by scaling the number of hits against the number of verses per book. I concur about BibleGateway; it is indispensable to me. I also agree with others’ comments about the data being skewed because of the differences in the length of the books. But really nice graphics. I like the symbols you chose for each book. And great summaries, too. I think this will motivate a lot of people to actually read those books! Thanks, Lynn! It was fun to design, and I do hope it helps more people discover (or rediscover) these books. On the data: it would be interesting to get a closer look at the pageview / book length ratios. Of course, I wonder if a pageview for a smaller book should count for more than a pageview for a larger book. Maybe someday I’ll team up with a few organizations, do a big survey, and see which book of the Bible more people choose as their favorite, least favorite, most boring, hardest to read, easiest to read, etc. Thought provoking. As the contributor of the notes to both Obadiah and Nahum in the Gospel Transformation Study Bible I would like to commend the GTSB in general for helping readers see the abiding relevance of all of the Old Testament. Cool! I’m such a Word nerd. Thanks for the outline. Pinned it to my Bible Study board. Thanks for the share and kind words! It’s pretty fun to explore. I’m such a fan of this. I’m glad you shared it again on FB so I could check it out another time. I am a little surprised to see Jonah on here, because it’s one most people at least know in reference. You noted this yourself. It seems like it might just be because it is in that section of the Bible so many people just slide right past to skip to the NT. There also isn’t a lot of debate–so far as I’ve run into–over doctrines found therein. Frankly, I think this latter point might be more due to people not reading it than due to any lack of depth on the part of the book. Onesamus was still Philemon’s slave even after he returned to him. If this wasn’t true why would Paul have sent him back? I found your article/infographic very fascinating. After pondering this a bit more I wonder if your results are somewhat skewed. The fact is these are all the shortest books of the Bible (essentially). To say they are the least read seems unfair. It’s like saying China and India are the deadliest places to live because the most people die there each year. But they have the highest populations by far. The question would be how many people die per 100,000. It think the same would apply here. Could you get statistics on how many pageviews per chapter (or per verse)? You could get an approximation of this by taking all the pageviews of Isaiah and just dividing by the total chapters/verses of Isaiah. If you already have the pageviews per book you could pretty easily do this. Then I think you would have a better handle on what’s the most read and least read. So, I was just trying to figure out what book of the Bible to read next. I’ve read most of the Bible and much of the New Testament several times. This summer, I tackled more of the OT — looking for things other than just the typical stuff I’d studied (Gen., Psalms, Isaiah, Proverbs….) So, tonight I wondered “what book is read the least?” Googled and found your site/message about Obadiah. What is SO funny is I had JUST read it tonight because a friend mentioned she was going to check it out this week just because she thought the name was cool. It was short – found that having read so much of OT this summer, that I actually felt like I understood it. Absolutely loved it when I found out that THIS was the least read book. Thank you for the information. I’ve decided upon Zephaniah for my next one. God is so good in answering my prayer – I used to think reading the OT was boring. It has come alive for me this summer and truly appreciate sites like yours. I realize this was something you did several years ago – but here and now I have been blessed by your work. Thanks! Thank you! I will probably go back and read the rest of the Minor Prophets. I read Zephaniah – it was quick and I felt like it was a much happier book than the book I started. (Jeremiah) Just last night friends told me they had started reading Jeremiah but gave up and just started skimming through. I am so thankful that God continues to give me desire to see what His word says. Just that day, I had written Jeremiah 6:10 in my journal. By the way, I had decided to read Jeremiah prior to watching your video on the shortest/longest book video. I really enjoyed it – and had fun quizzing my friends about the information you shared. This is excellent, thank you. I will embed the infographic on my blog.